The annual celebration of WADe Asia 2017 received thunderous applause from entire design fraternity. It was the coming together of Architecture, Art & Design community to celebrate Women-led development! 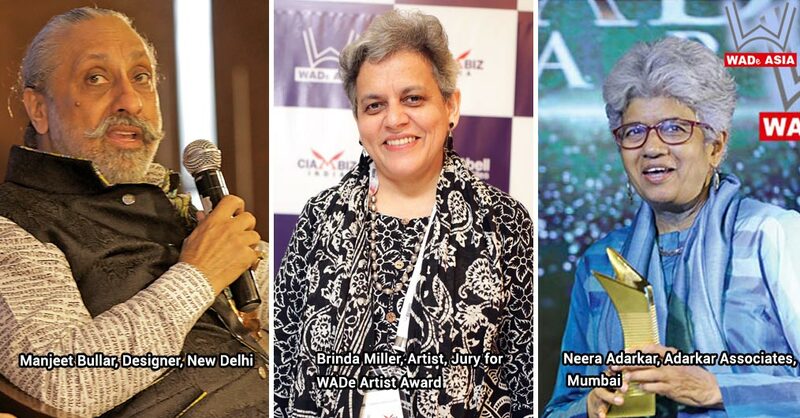 Attended by more than 700 Architects & Designers & Artists over 2 days and 1 evening, WADe Asia concluded its second edition on the 28th & 29th October 2017 at the Leela Ambience, Gurgaon, India. WADe is about documenting the progression of Women in Design. It is also about a common ground for women in creative pursuits to meet, network, learn and share. With the coming together of 6 countries, India, Sri Lanka, Bhutan, Nepal, Bangladesh and Thailand, WADe Asia 2017 was magnanimous. With a host of Panel Discussions, Keynotes, Master Class, Book launches, Students Workshop in association with IIA, WADe Asia had apt dose of entertainment as well. Keynote addresses were by Ar. Christopher Beninnger, Ar. Nela De Zoysa from Sri Lanka, and Padma Bhushan awardee artist Rajeev Sethi. Also present were Bollywood Actress Bhagyashree and Singer Hema Sardesai. 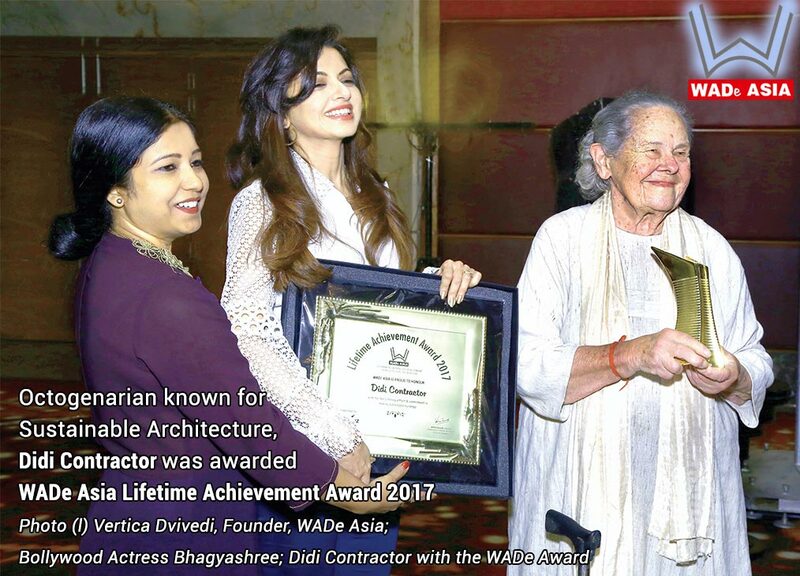 Apart from this, the grand 2-day event recognized & awarded the work & contribution by felicitating them with WADe India and WADe Asia Awards. With the coming together of 6 countries, India, Sri Lanka, Bhutan, Nepal, Bangladesh and Thailand, WADe Asia 2017 was celebrated by more than 700 designers, between age group of 18-88 years, on the 28-29th October 2017 at Hotel Leela Ambience, Gurgaon.